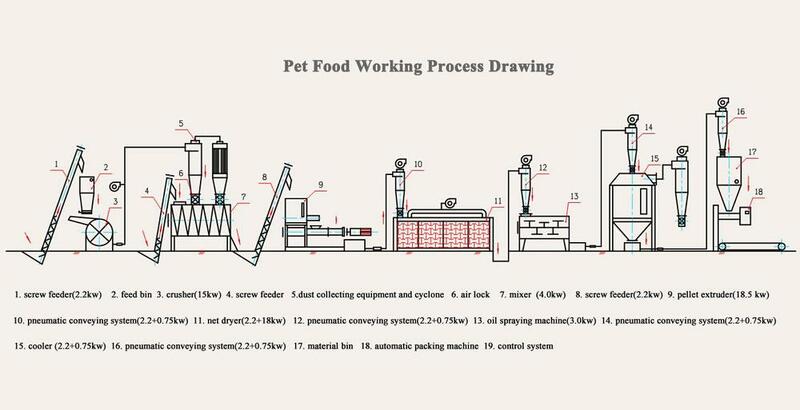 1.Function of Pellet Machine:Floating fish feed machine can make high-grade aquatic feed pellets for fish, catfish, shrimps, crab,all kinds of pet(like cat,dog,rabbit,hamter)using grains,etc. 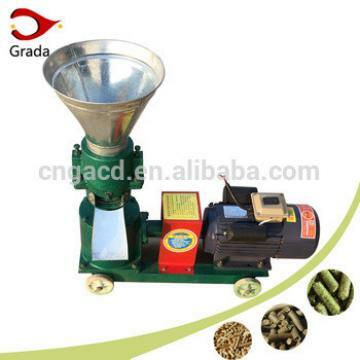 3.Two types pellet machine are available: dry type machine and wet type machines. The difference is: for the wet type machine, the conditioner is installed on the feed extruder,conditioner connect with the pipe and steam boiler, after the raw materials mixed, conditioner preheat and soften the mixing materials, then making the feed pellet. Dry type machine puff the mixed materials directly. 1. The puffing fish feed pellets can float on the water surface without dissolution for over 12 hours. 2. Various shapes feed pellet are available, superior quality fish feed pellet, shrimp feed pellet and pet feed pellet can be produced. 3. The puffing time can be controlled according to the puffing degree adjustment. 4. The feed pellet diameter is customized 1.0-20mm by changing the mold. 5. The final product feed pellet is easy digest, and being cooked with high temperature and pressure, the salmonellosis and bacterial can be killed completely. 6. Pellet length is adjustible. After the material is sent into feeding device, they will be pressed by the screw shaft with high pressure and temperature which makes the raw material fully cooked and sterilized. Then the pressed material will be formed into pellets by shaping mould. You can change different moulds to make pellets with different diameters. After that a cutting device will cut the formed pellets into different length as required. packing machine, conveying system etc. A set of spare parts will be packed with pellet machine together. 1. 1 year guarantee with life-time service. 2. English manual and video for installation & operation will be provided, if requirement, the technician will install for you. 3. 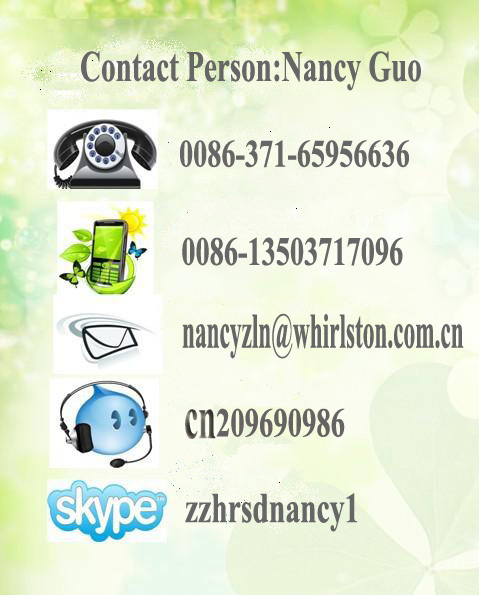 Any machine problems,contact us freely. 4. If big problem, we can send technician to customer's local place. Strong working team and thoughtful service are waiting for you. No worry before sale, no regret after sale. Quality is the soul of our company. We have specialists on technology, sales, design and afer-service. Our company has established friendly business relationships with customers in Russia,German,Slovakia, Ukraine,Vietnam,Pakistan, the Philippines, Indonesia, Thailand,Pakistan, Egypt ,Iraq, Iran,Jordan,Saudi Arabia,Syria, Libya,South America,East European etc. We produce and export machine directly. With a cheaper labor force which make our price more competitive. 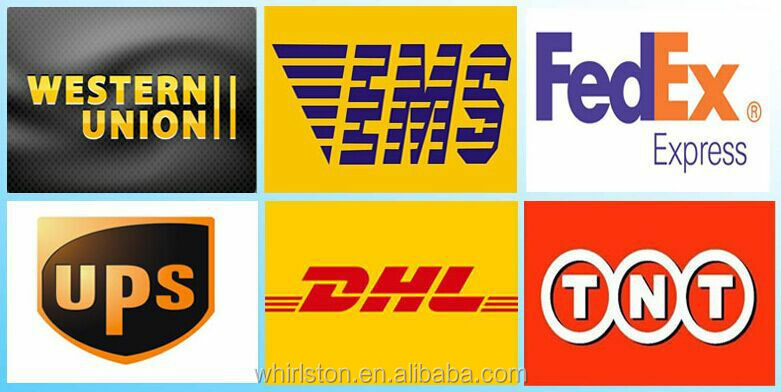 Most developed highway system and logistics deliver company make sure on time shipment. Automatic Animal Feed Pellet Machine adopts world-class technology to customize and produce special racks. High strength, high wear resistance, sharp teeth, uniform and delicate powder slag processing, higher starch extraction rate. The replacement of racks is quick and easy, which greatly reduces the labor intensity of labor and greatly increases the production efficiency. The separation part adopts a non-frame type three-section separation structure, which has small resistance and is more energy-efficient.